Saturday saw my last running event before the start of marathon training in a few weeks. From now on everything is geared towards running 26.2 miles rather than running fast (not that I could ever be accused of running fast!). The last event was a goodie, a 10k trot around the beautiful Forest of Dean on a wonderfully sunny Saturday morning. Bright skies and dry trails make such a delicious change to what we’ve been used to, and already we’re back to ankle deep mud and Arctic winds. Being a Rat Race event the organisation was typically excellent. A big event village made registration easy, the tech t-shirt we were given with our race numbers is fabulous but I chose not to wear mine to run in. I much prefer to keep them fresh until I’ve finished, showered and can wear them proudly for the rest of the day! After my mini rant in my last post it’s nice to get some proper bling after a race too, medals make it all worth it! The run itself was on some of the same trails as the Wild Boar Chase ride last weekend. Wide, hard forest road so lots of ruts and stones but no mud or roots. There was a hellish climb that dragged from 2km up beyond 4km, never steep but never relenting, and plenty more undulation over the 6 miles too, but I got home in just under 57 minutes and I’m happy with that. It wasn’t cheap, but for newcomers to running I’d definitely recommend it as an introduction to racing or trail running. Anyone read Running Free Magazine? My local running shop (Up & Running) stock it and I sometimes pick up a copy, but I’ll be making a special effort this month…because I’m in it! 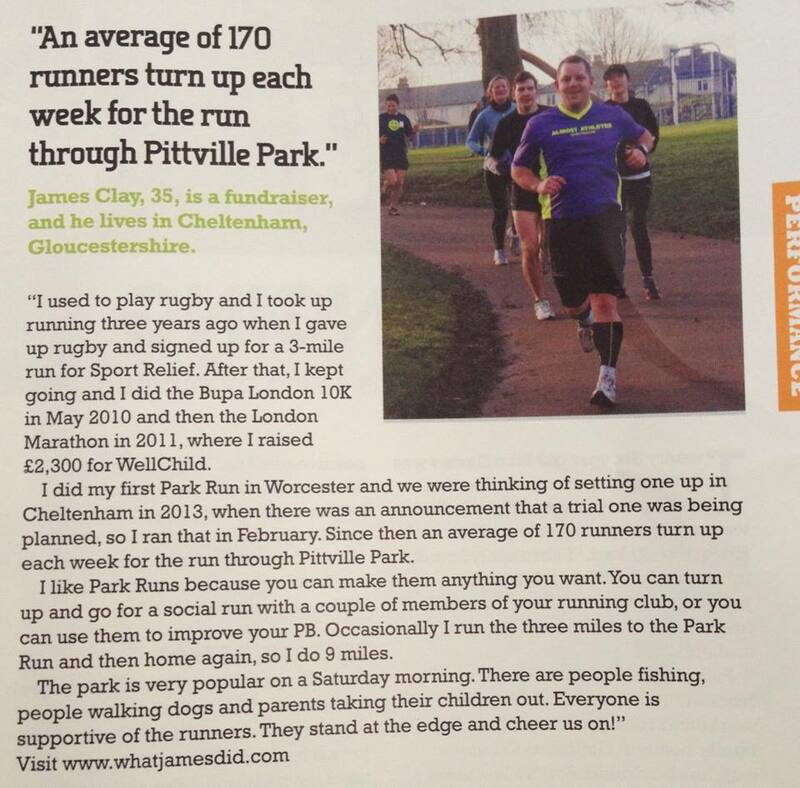 The story is horribly misquoted (I’ve never run in Worcester and I had no intention of setting up a Parkrun in Cheltenham!) but it’s a nice photo and let’s face it, as a blogger you can’t be averse to a bit of self promotion! I’m off to Snowdonia in a few weeks with Trail Magazine so I’m hoping for more column inches and photos after that too. Have you ever got yourself in to a magazine? Or is there one you’d particularly like to feature in? This entry was posted in Events, Life, Running, Two Things Tuesday and tagged 10k, fitness, Forest of Dean, outdoor fitness, Rat Race, running, trail running. Bookmark the permalink. Hi James, I tried to tweet to meet up at Trailblazer but being in a forest I didn’t get a signal and all attempts went to draft ! 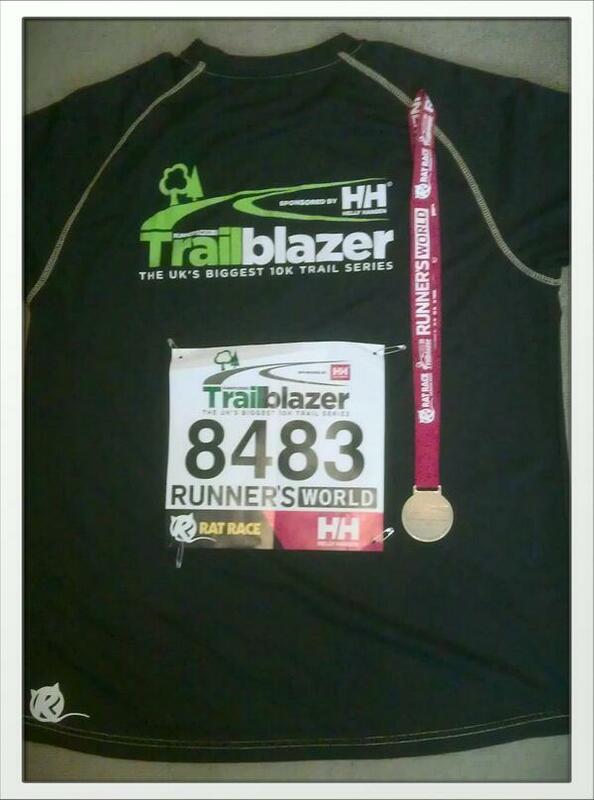 Really enjoyed the race great route, organisation, support, tech T that fits, good bling & goody bag. 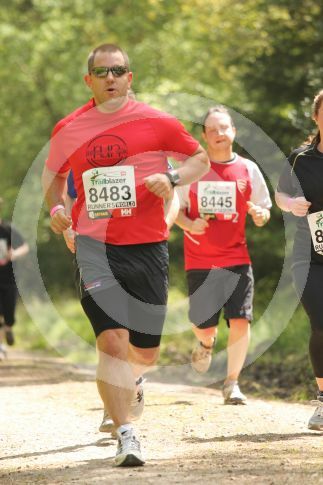 Great first trail race & half decent pic of me too. I never carry my phone at races anyway, too much of a distraction! I’d be too tempted to tweet from the water stop or something! Was a great day, glad you enjoyed it too, and yeah even the pics turned out quite well! I had double page spread – not that sort in Womens Running mag October 2011. Marathon training, disasters, bites by dog, lost tooth in race etc My daily calamity running life ! I’ve had a few column inches thanks to my charity involvement and shameless self-promotion, it makes my Nan happy every time she sees me in the paper so I keep trying!